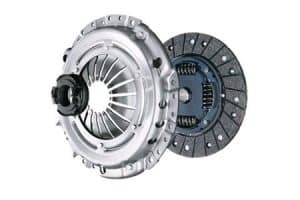 Modern vehicles use a robust and advanced clutch system that is designed to last up to 100,000 miles depending on the vehicle model and make. However, the rough driving condition can damage the clutch quickly and lessen its life. The clutch assembly comprises many components, and some of these components start to wear down sooner than others. A failed clutch system will leave you stranded on the road until it is repaired. There are some noticeable symptoms which can tell you your car’s clutch system needs replacement. In this article, we will discuss the common bad clutch symptoms, what causes these symptoms and how you can get your clutch replaced. In manual vehicles, the clutch is used to transfer the rotational power from the engine to the wheels. 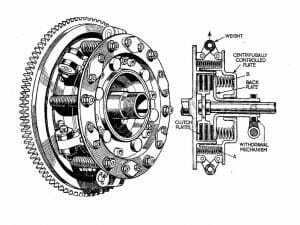 The clutch controls the connection between the shafts which turn the wheel and the shafts coming from the engine. In a manual vehicle, if the engine speed becomes zero and the car is in a specific gear, the car will stop after jerk, unless the clutch pedal is pressed. This is because pressing the clutch disconnects link with the engine allowing the wheels to roll freely. The clutch helps in controlling the slippage between the spinning engine and the non-spinning transmission. Like every component in the car, the clutch also gets damaged over the time. The clutch’s lifespan is mainly reduced due to not regularly checking the fluid, pressing the clutch pedal too quickly, using the clutch to stop the car instead of pushing the brakes, towing heavy items with the car. Here are some of the common symptoms you will notice if you have a bad clutch. The clutch assembly is heavy, and it usually requires some force to press the clutch pedal. If your clutch pedal seems extremely soft while pressing, it means that there is some problem and you may need to have the clutch assembly inspected. A damaged clutch tends to slip especially when going uphill or while transporting heavy load. Clutch slipping means that the clutch fails to engage even if the pedal is fully pressed fully. You will notice that the engine RPM is rising, but the car will not be able to go any faster. A slipping clutch overheats other components as well as increasing the intensity of damage. If your clutch and transmission are in perfect condition, you will notice that the gears shift smoothly without any hindrance. However, if you have trouble shifting gears or you have to apply extra force to move from one gear to another, it is a sign of a worn out clutch. If you hear a specific grinding noise coming from the engine bay while pressing the clutch, it means that the clutch is damaged or faulty. This sound can be due to worn out clutch bearing and the cost to fix it is not much. However, delaying the issue for long can damage other parts as well as increasing the repair cost. You may also hear a distinct noise from the clutch due to a low level of fluid. In that case, take your car to a mechanic and have the fluid level checked. If you notice that the noise is heard when you release the clutch with the car in gear, it indicates bad clutch shaft pilot bearing. The bearing is simple to fix and may not cost a lot either. However, it entirely depends on the car to car as the labor cost is the main issue. If the clutch pedal feels hard and you experience trouble in shifting gears, it means that there is a possible problem with the hydraulic system. A mechanic will check the release mechanism, linkages, cables, and other components to determine the root cause of the problem. Besides the clutch being too loose or too stiff, it sometimes stays glued to the floor as well. This points the problem towards the release mechanism or the bearings. You need to check the springs in the assembly and adjust other linkages to fix the problem. The master cylinder is responsible for pumping the fluid to the hydraulic clutch, and a lot of clutch related problems could be due to a faulty clutch master cylinder. The master cylinder starts to leak over the time or gets damaged due to a dirty clutch fluid. This further creates more problem while shifting gears or when depressing the pedal. The clutch replacement procedure can be costly, and most of it goes towards labor cost. For an average economy car with a straightforward clutch assembly, you can expect the price to be around $750 to $1200. The parts itself will cost about $90 to $600 while the labor cost will be between $300 and $800. The labor cost is usually higher when fixing the clutch because the mechanic is required to access the transmission system and then remove or replace the clutch system. For a modern car with a complex clutch system, the price is even higher. Replacing a clutch is not an easy job and requires a lot of time and automotive expertise. If you are considering doing the replacement procedure yourself, it is essential that you have the right tools and knowledge of the parts involved. Since the repair involves removing the transmission as well, it is recommended that there is another person to help you out as well. Generally, we will not recommend that you carry out the procedure yourself and it may be best to take your car to a professional mechanic. Rough driving or lack of service causes the clutch system to fail sooner than usual. Since the repair of the clutch assembly is expensive, we recommend that you get your car regularly serviced and notice any problem in advance to avoid costly repairs. Comment down below if you have any other questions!